One of my New Year’s resolutions this year, looking back on the previous and how underwhelming it was by terms of video games, was to grab fewer full-priced games at release. Imposing a stricter grasp on my wallet, I decided to pick and choose what I spend my earned dollars on. January brought the massively disappointing The Crew, and now February has given us Evolve. Let’s ramble for a spell about that last one. I would add Evolve to the ever-growing list of next-gen “Proof of Concept” games, alongside other such games as Destiny and Watch Dogs and Titanfall; games which are perfectly functional, but so dramatically fail to live up to their full potential. Evolve, in concept is simple. There is a team of four Hunters, one of each of four classes (Assault, Medic, Support, Trapper). Then there is the opposing team made up by one solo player who plays the Monster. There are three of each type of Hunter class, and three types of monsters to choose from at the start of each match. More are unlocked as you play matches and use each character’s respective abilities, but you can never have more than one type of Hunter class in a match. The Monster is given a small head start at the beginning of the match before the team of four Hunters is dropped in and the hunt starts. The win condition for the Hunters is to kill the Monster. The win condition for the Monster is to have all four Hunters killed at the same time (they can respawn infinitely, though, on a ~2 minute timer), or Evolve by killing and eating wildlife dotted about the map. The Monster can Evolve twice, both times giving the Monster a couple additional points to spend on improving their abilities as well as giving the Monster a large chunk of additional health. Consuming wildlife also grants the Monster some armor, which can be regained through more consumption while their proper health meter cannot be refilled. At Evolution level 3, the Monster can attack and destroy a power generator found in the stage, which will also achieve victory. This hunt itself is where the first problem resides. The problem of pacing. Some matches end within minutes, with the Monster being unable to get proper distance between the drop area and safety, getting trapped and then promptly killed, as in Stage 1 Evolution, the Monster is quite fragile if put in direct combat with the Hunter team. If the Monster is able to get a reasonable amount of distance at the start of the match, however, it isn’t difficult to quickly reach Stage 2 Evolution, and if, as the Monster player, you are using the creature’s stealth ability, it can prove to be a real annoyance to find so much of a trace of it for the Hunters. This can lead to matches played as a Hunter where you find yourself jogging around a relatively sizely map for ten, fifteen minutes with little to no action to speak of. Since the Monster is weak from the start, many matches seem to end as they begin, or dully drag on until the Monster manages to gain enough strength to wipe the floor with the Hunters. The Monster is faster than the Hunters, and is able to use a Sniff ability to sense any living creature within a fairly large radius around them, so unless the Hunters are able to get a good drop on them, the Monster can easily outrun them. The problem here is that as a Hunter, as the Monster becomes more and more difficult to kill as time goes on, you feel as though if you cannot kill the Monster by the time they hit Stage 3, you have very little chance at winning. While this is fine as a sort of method of punishing the Hunters for being unable to do what they’re there for, I feel as though matches should become more and more exciting as time goes on, and the feeling that you can be far more easily dispatched does very little for excitement. This is a game about understanding what your character is supposed to be doing in the given situation, and many matches are won or lost because a single player didn’t quite have the hang of things yet. It isn’t a complicated game, but there is a small learning curve. Because of this, I would far more easily recommend this game to those who have a full group of five to play with, with one player rotating to play the Monster after each match. The matchmaking does a reasonably good job at putting you together with others of your progression level, but luck of the matchmaking pool is a huge factor in whether you win or lose matches, and it should be said that the matchmaking also does a reasonably good job at putting you into the waning moments of a game-in-progress someone had left because their given side was about to lose. Inheriting someone else’s loss is never fun. This is fine in a game that is genuinely fun to play by terms of gameplay loop, but this is not what Evolve is. Rather, Evolve is one of the more frustrating multiplayer games I’ve played. When I’m not playing it, I often forget about the fact that I own a copy, and suddenly find myself saying “Oh man, why am I not playing that right now?”. It’s an exciting game to think about, and conceptually a great idea for a competitive game. It’s perfectly functional, giving it a leg-up on a large number of big releases these days, but it’s the sort of game that isn’t in practice what you assume it would be having read or been told about it. There are interesting player abilities found here, but much of the traversal and aiming control (more of an issue for the Hunters) is roughly designed. The match-to-match progression is largely the same each time around, and while the developers have tried their best to change things up in alternate gametypes, I have not played a single match of any of these where I enjoyed myself. Attack and Defend-type gametypes just don’t work all that well with an asymmetrical game like this. Regardless of whether you are a Hunter or the Monster, there is a feeling of powerlessness that I simply do not enjoy in this game. Shoddy framerate has sadly become a sort of industry standard, and can be begrudgingly overlooked, and matchmaking bugs that cause lobbies to hang indefinitely (which lock you out of matchmaking afterward, as you technically “abandoned the match”) can be tolerated if at the end of the day the game you’re playing is putting a smile on your face, but simply put, Evolve is not the game it seems it should be. 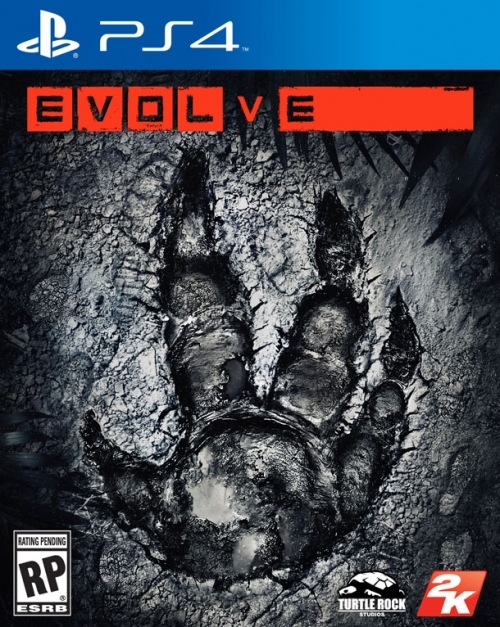 It’s very easy to think of where it could go if a sequel is ever thrust upon us, but after the half-dozen of hours I’ve spent with this offering, I can’t see myself getting excited for an Evolve 2, just as I don’t see myself spending a lot of additional time with this game. As I said before, I’m sure there is fun to be had with this game when played with a group of friends, but alongside Destiny, Evolve feels like a game following the trend of games designed strictly against solo play.